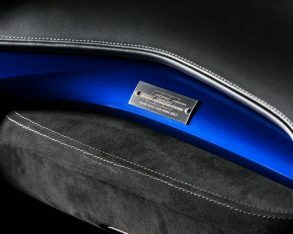 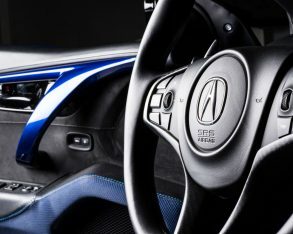 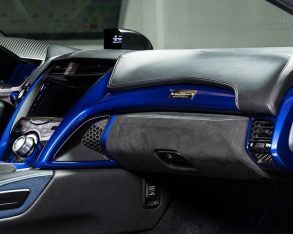 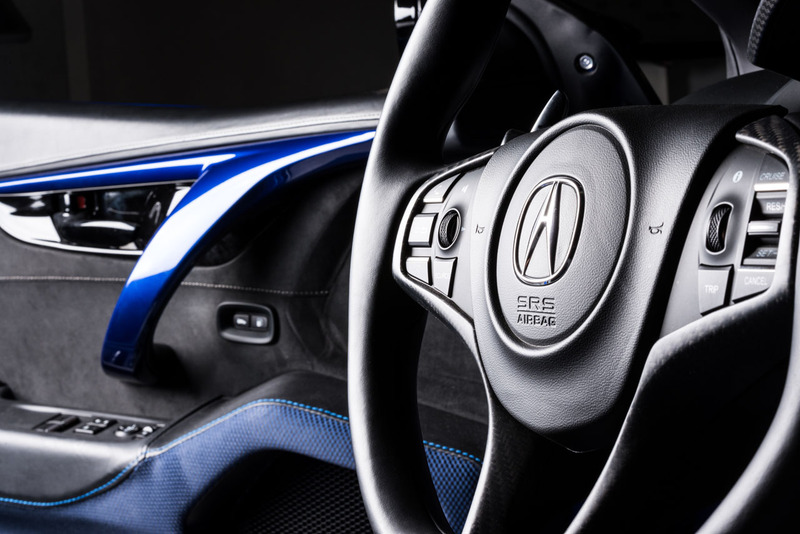 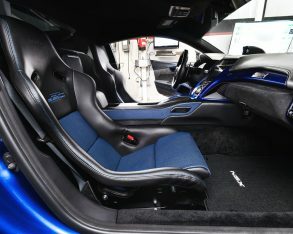 To most of us, the thought of owning a new Acura NSX is enough of a dream, but the Japanese premium brand nevertheless arrived at last month’s Specialty Equipment Market Association (SEMA) show in Las Vegas, Nevada with something even more alluring than the stock road-going supercar. 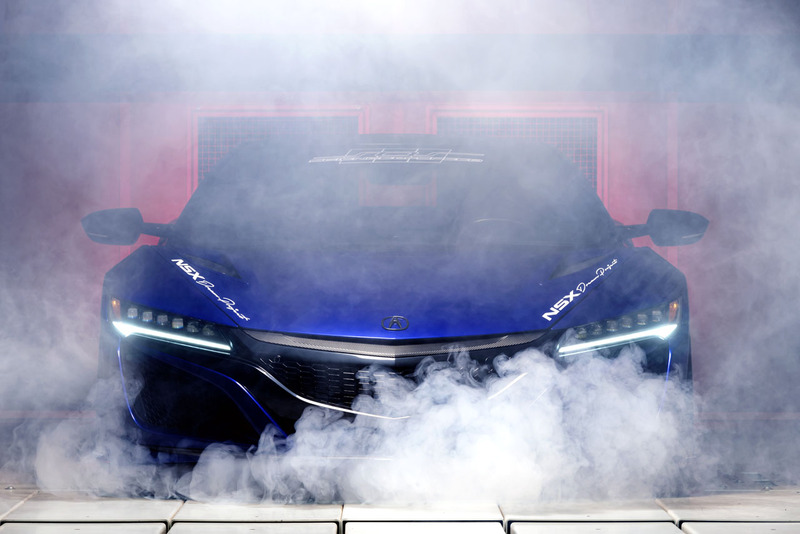 Say hello to the NSX “Dream Project,” the second ScienceofSpeed creation in as many years. 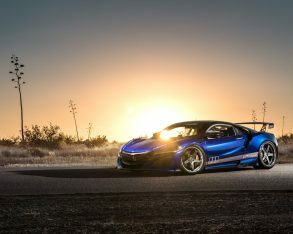 The first was a gorgeous NSX GT3 racecar with hybrid parts removed, sitting atop a customized trailer that was pulled behind a modded MDX in the same decaled white livery the team uses on the track. 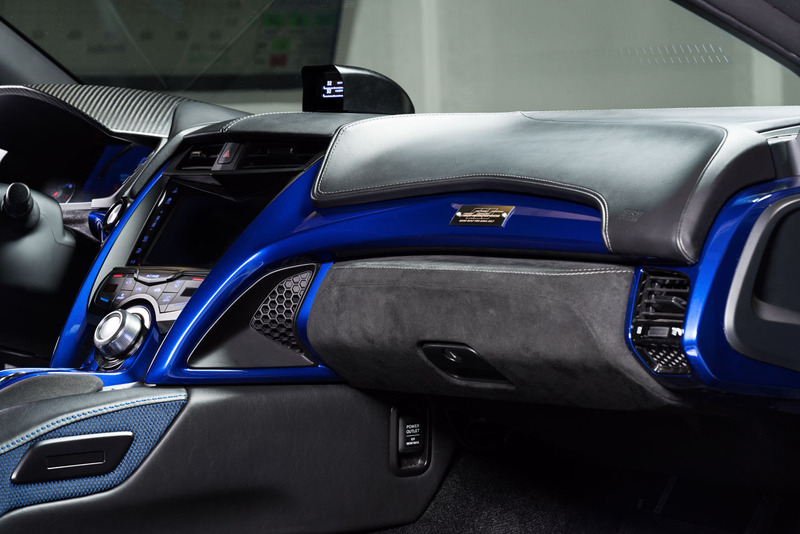 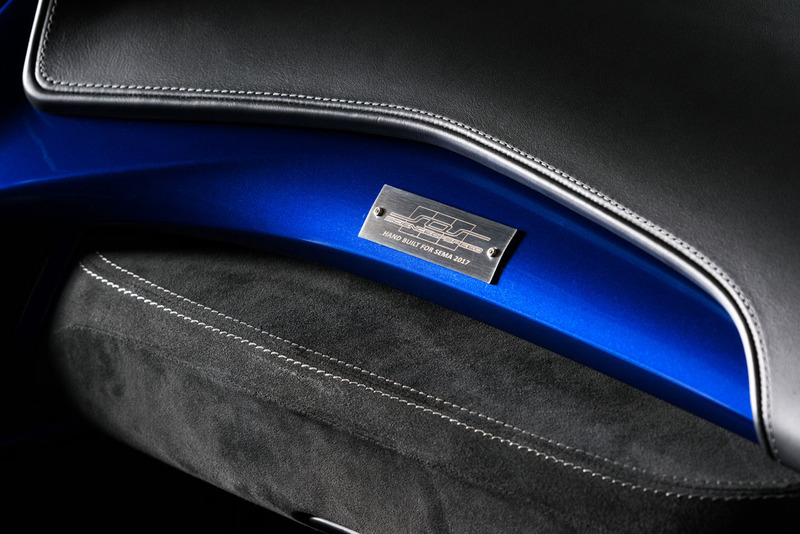 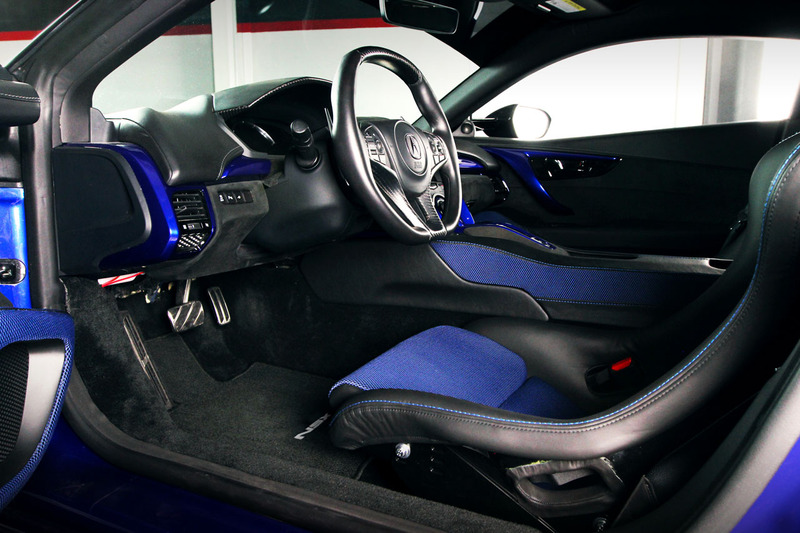 Now the colour has changed to a deep glimmering blue and the powertrain’s hybrid guts remain intact, this dream meant for the road. 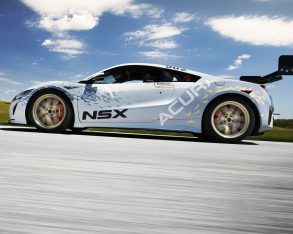 Acura worked together with Arizona-based ScienceofSpeed for this year’s Dream Project, this NSX GT3 more of a race replica that future owners can hopefully bring home. 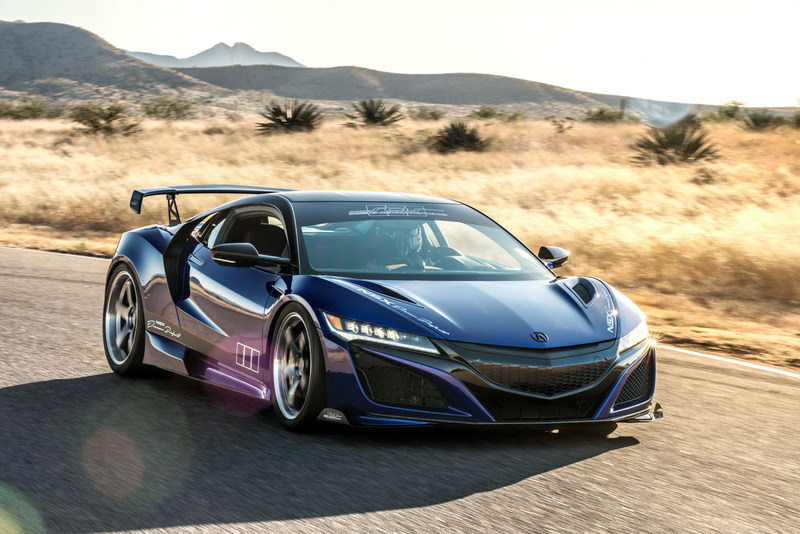 The result is a lighter, better handling, quicker, more potent NSX with much more downforce thanks to extensive aero upgrades. 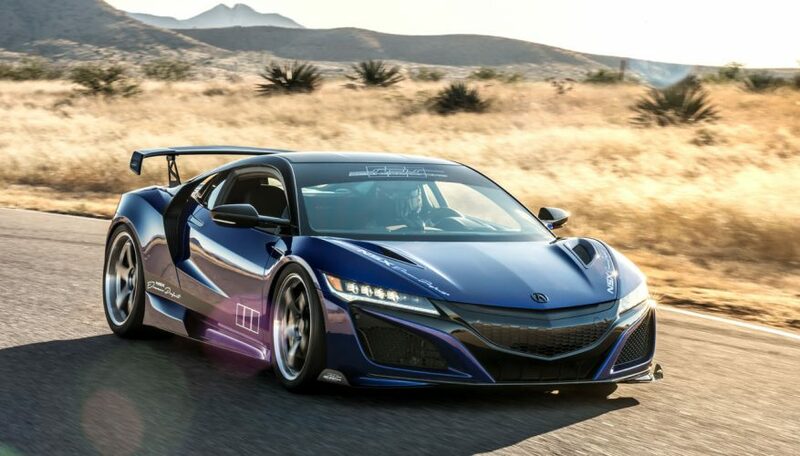 Reference other sports cars wearing the GT3 subset and you’ll see plenty of wings and NACA ducts, all designed to benefit traction at high speed, so why should this NSX be any different. 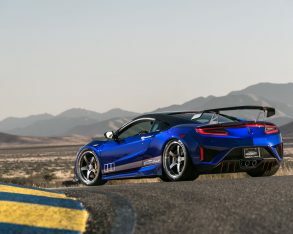 The ScienceofSpeed kit includes front side strakes, extended rocker panels with radical ducting, a supersized pedestal-style rear wing (albeit smaller than on last year’s car), and a larger, deeper rear diffuser, the latter highlighted with red painted fins. 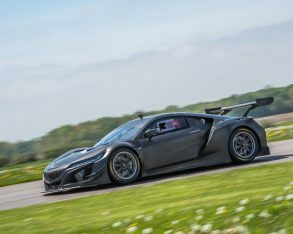 Speaking of colour, the grey and red side stripes with artfully scripted “Dream Project” signage below chunkier “NSX” lettering, almost go unnoticed next to the fabulous five-spoke Advan GT forged rims on Pirelli Trofeo R rubber that frame equally eye-grabbing gold powder-coated carbon-ceramic Brembo brakes. 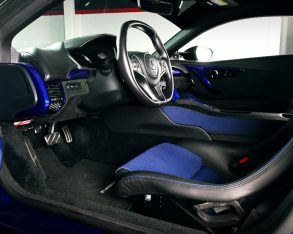 Carbon in mind, there’s no shortage of carbon fibre reinforced plastic (CFRP) elsewhere, all of the aforementioned aero add-ons wearing its glossy woven fibres proudly next to yet more red highlights, while the roof gets painted a glossy black and that beautiful blue paintwork mentioned earlier finishes off the exterior aesthetics, the latter a two-tone mix dubbed Andaro Nouvelle Blue Pearl. 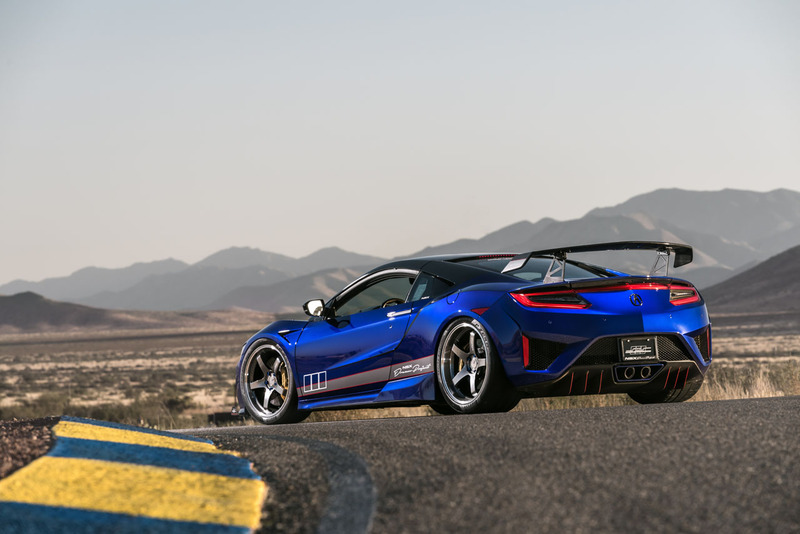 ScienceofSpeed shaved 7.2 kilos (16 pounds) from the NSX Dream Project’s curb weight by replacing the stock exhaust with a lightweight stainless unit, while reworked suspension geometry drops the car by an inch. 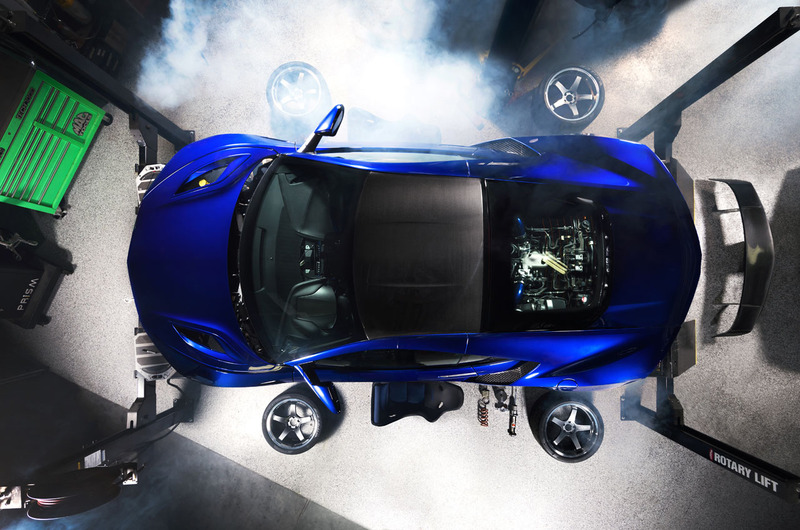 Those with steep driveways or need to overcome speed bumps needn’t worry about scuffing all the added ground effects either, as an iLIFT was added to the front suspension to automatically raise the body up two inches if it senses obstacles in its path. 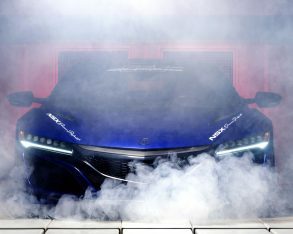 The NSX ScienceofSpeed Dream Project wasn’t the only car on Acura’s SEMA stage, the theme focused on motorsport thanks to a race-winning Acura NSX GT3, which had just completed its inaugural season with two teams competing in the IMSA WeatherTech SportsCar Championship series as well as the Pirelli World Challenge series, achieving four podiums and three victories. 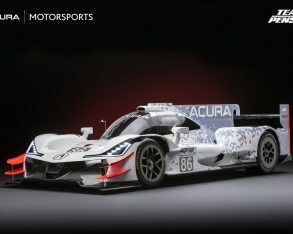 Even more noticeable, the ARX-05 (Acura Racing eXperimental, generation 5) Daytona Prototype points the Japanese premium brand back to prototype racing, the first event to be the Rolex 24 at Daytona in January next year. 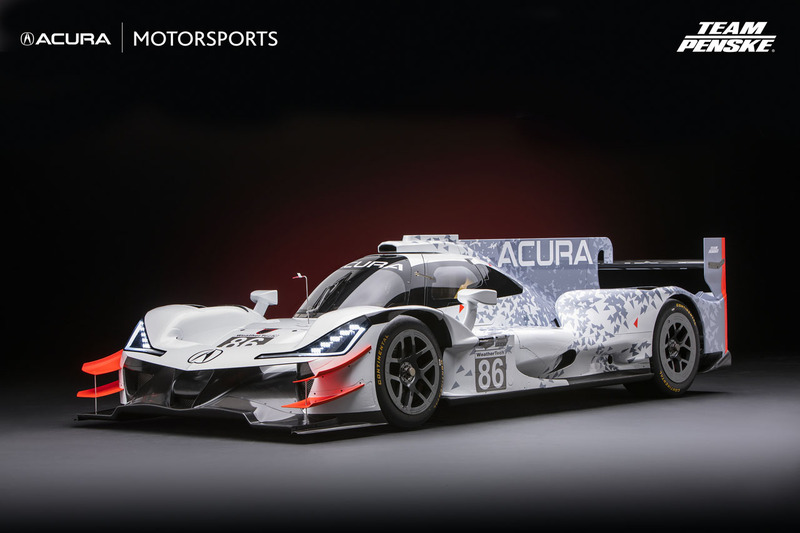 Team Penske, legendary in motorsport circles, will campaign two cars in the IMSA WeatherTech SportsCar Championship, while a who’s who list of winning drivers includes Juan Pablo Montoya, Helio Castoneves, Graham Rahal, Dane Cameron, Ricky Taylor and Simon Pagenaud. 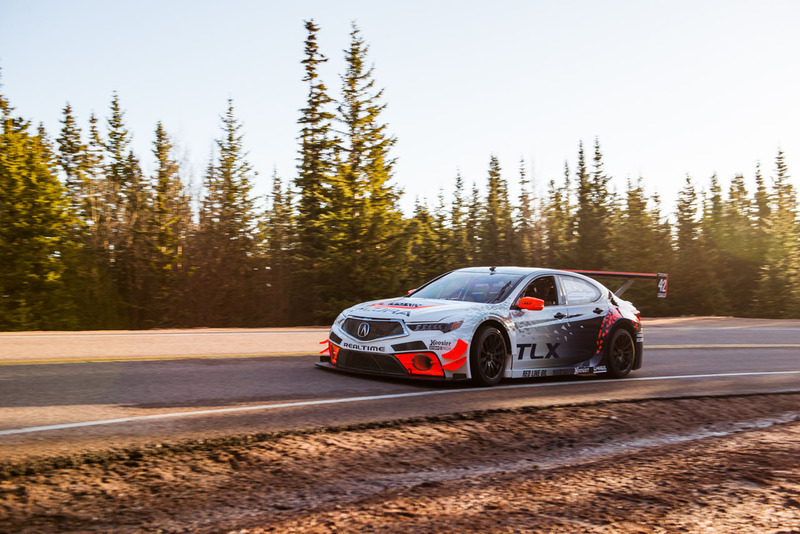 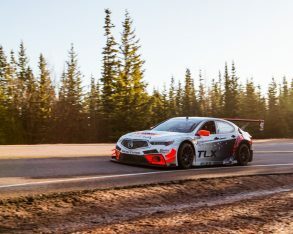 If you think that was fast, newcomer Peter Cunningham set a new Open Class record at the wheel of the Pikes Peak Acura TLX GT this year, his time of 9:33.797 earning second overall as well as “Rookie of the Year” honours. 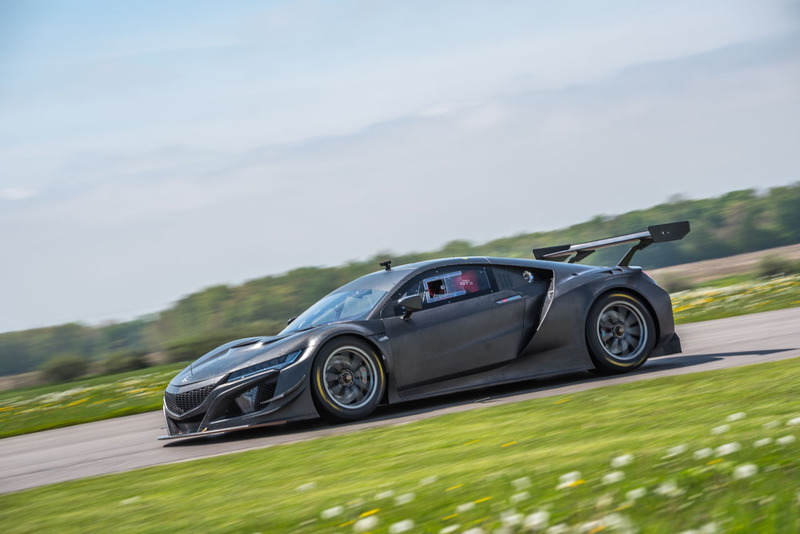 Lastly, the Pikes Peak GT3-inspired Acura NSX split the difference with a 10:03.433 time over the 21-kilometre (13-mile) course, with Acura’s in-house North American R&D powertrain development group member James Robinson placing third in the competitive Time Attack 1 class. 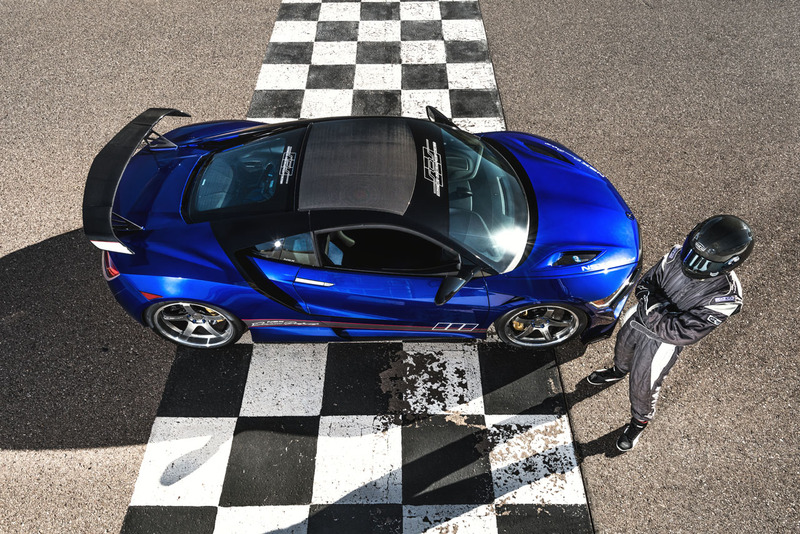 Robinson won the class in a first-generation NSX in 2011, and has charged up Pike Peak’s death-defying 2,289 vertical metres (7,510 vertical feet) in an NSX every year since.